through construction job site visits led by volunteer builders; strengthened our partnership with Operation Finally Home by elevating the veteran charity to a GHBA Benefit Homes beneficiary; raised more than $190,000 for local and state elected officials through HOME-PAC fundraising; inducted one of our own, David Weekley with David Weekley Homes, into the Texas Housing Hall of Honor; and ended the year strong with 1,600 member companies, solidifying our position as the largest home builders association in Texas and the fourth largest in the nation. 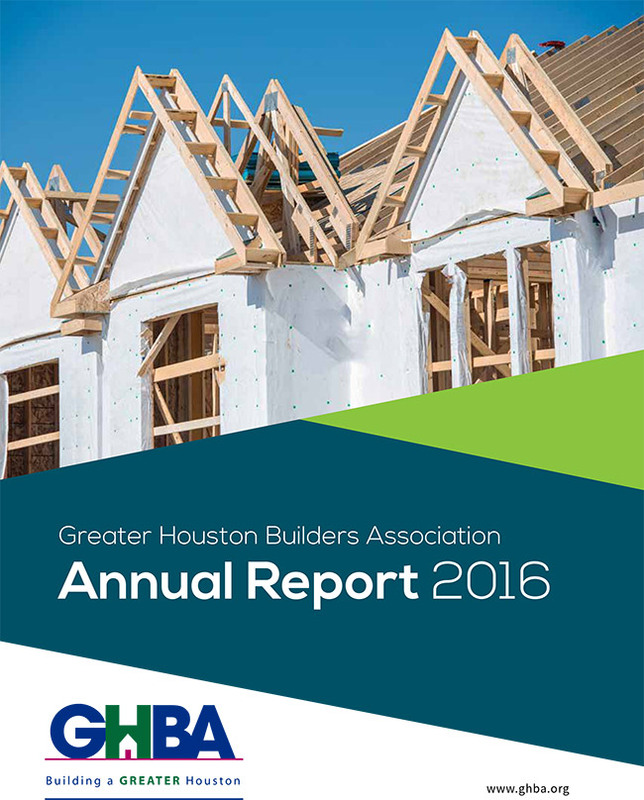 Not only was it a great year for the GHBA, but a positive year for the local home building industry as well. According to Meyers Research, in 2016, the 25,000 homes built in the Houston Metro area generated over $7.4 billion into the local economy and created 87,577 jobs! The GHBA salutes you for an outstanding year and is excited to once again serve such an innovative, dedicated and robust membership in 2017. Here’s to another great year! A GHBA membership can open doors for you and your business. So what are you waiting for?